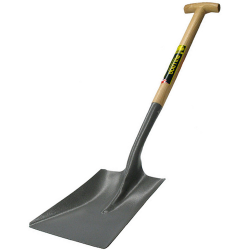 With a wide range of shovels we are sure we have what your looking for. Our friendly staff are always happy to help, feel free to call or email for assistance. This solid forged tool has an open socket, which is an integral part of the lightweight blade.&nb..
Metal Hand Shovel with Wooden HandleIdeal for shovelling coal or using with a brush to sweep up di.. Economical solution to snow clearing tasks. Large plastic scoop for maximum snow removal Made.. This shovel was designed for scooping large amounts of ingredients or food, e.g. ingredients into la..
Hand shovel, 550 mm, RedThis shovel was designed for scooping large amounts of ingredients or foo..